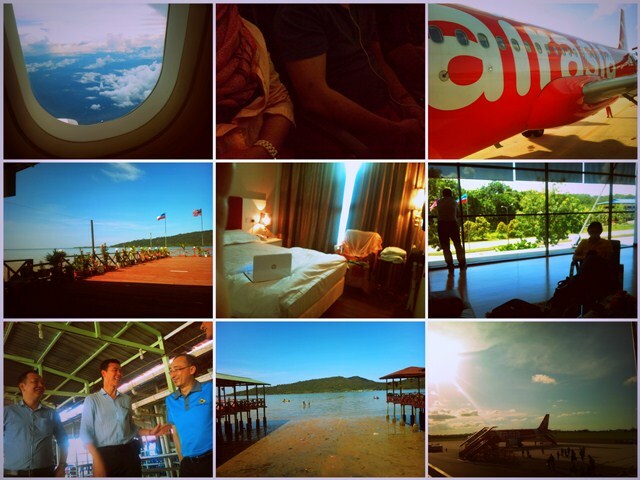 As mentioned previously, i was flying to Sandakan, Sabah for a short trip on the last week. we've got a petty presentation to be done. the boss was joining me and the other colleague. obviously, it was my very first time experiencing such moment and surprising, it was fun lorh! haha..i guess i just love my job. Alhamdulillah.. Thus, no complaining on the Monday Morning although every Wednesday is like an intermission state to finally reach the Friday. it is a norm to everybody lah, our body needs rest to re-energize right. Oh, should add this extra point on why do i love this job so much. Dear boss, you are seriously a greatest one, keep on being great and insyAllah will keep on doing my very best too. Wuuuuuuuui, best nok pergi Sabah! wuuuhuuuuuu aloloh dpt mkn seafood saja lah di sandakan bah, kalau di KK mungkin lebih BAHAGIA! hahahhaa nak ikot ke yang...? ?